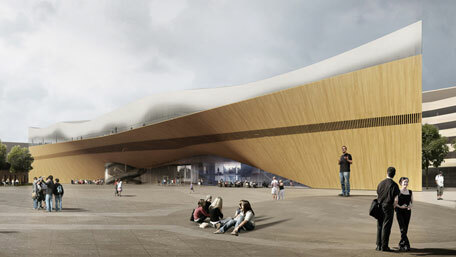 ALA Architects Ltd was given the award for its pseudonymous competition design entry for the Central Library in Helsinki. The Hesinki library is set to become one of the most prestigious library projects of recent times. The jury described the contorted wooden structure as 'impressive and casually generous' and an excellent starting point when it comes to developing new kinds of library functions. Description, comment, photos and plans on the DEZEEN website. More information and links on the Helsinki Central Library website.